Any personal information you provide to us will be used and recorded in accordance with the data protection act. We will not sell any information to any third party. your name, e-mail address, the delivery address, your telephone number, your credit or debit card number and expiry date. Ivorylane.ie will use this information to fulfil an order you have placed and where necessary contact you regarding this order. We may also use your personal information to tell you about news and offers that may interest you. If the terms and conditions of our website change you may be contacted so as to inform you. All credit and debit card holders are subject to validation check and authorization by the card issuer. If the issuer of your card refuses to authorize payment to us, we will not be liable for delays or non-delivery. There may be times where we may need to contact you to verify details before we can process and dispatch your order or we may be unable to accept your order. These terms and conditions are provided by Ivory Lane and set out the terms and conditions under which you may use our website. Your use of this website constitutes acceptance of these terms and conditions. If you do not accept the terms and conditions, then you may not use this website. 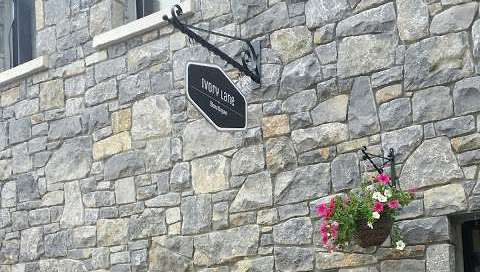 The website is operated by, Ivory Lane Ornamore Co. Galway, Ireland.